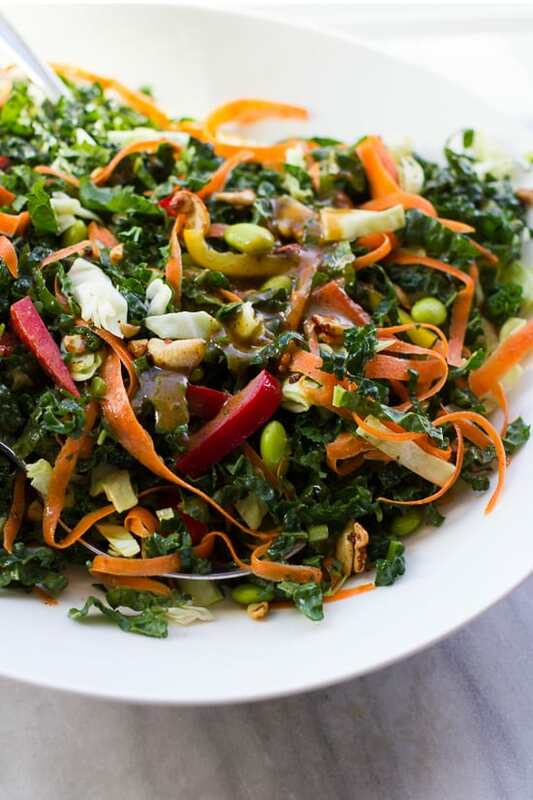 I’ve been bursting to share this kale salad recipe with you! Where to begin? Tender kale massaged in lime juice. Tons of veggies for texture, flavor and phytonutrients. This salad is one of the best I’ve ever eaten! 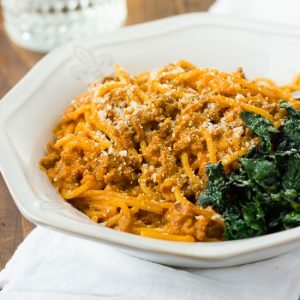 It is the perfect balance of textures and flavors and will leave you feeling great. Kale salads are my go-to when I feel like I need a reset. Aside from it’s detoxifying health benefits, I could eat this everyday just because it’s so delicious. It is also husband-approved, with my husband saying it is the best kale salad he’s ever had. I have come to love, love kale salads over the past few years. 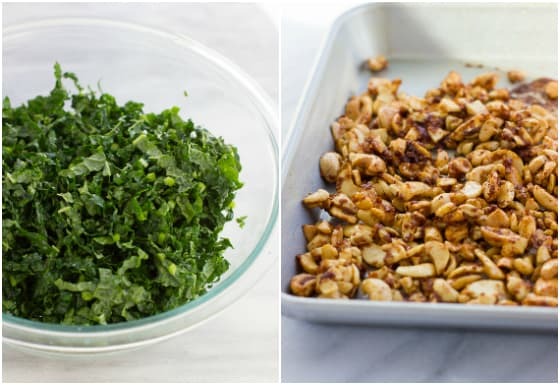 We have a lot of family road trips coming up this summer and one of my favorite things to bring on a trip is a big kale salad. I usually try to bring some healthy foods of my own to start off trips on the right foot, because sometimes you never know what gluten-free options you’ll have on the road! 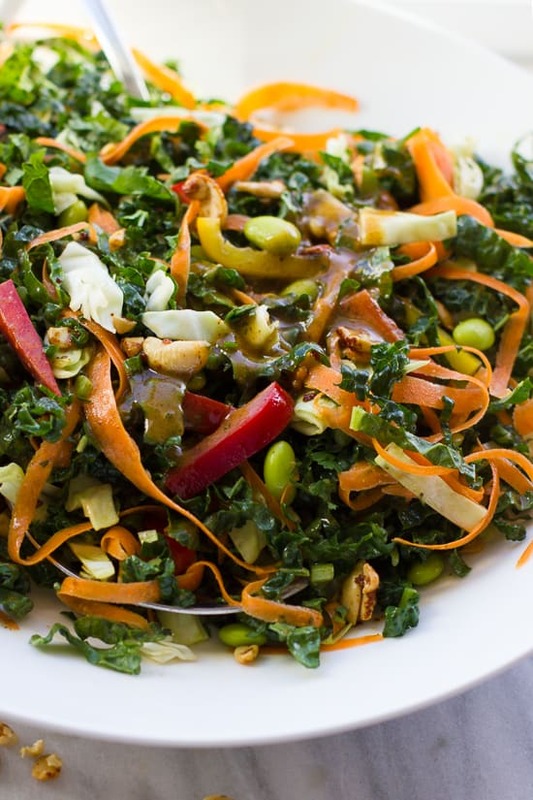 Kale salads hold up beautifully even when dressed, so you can make them in advance. They are great to pack for a lunch, bring on a trip, or share at a potluck. 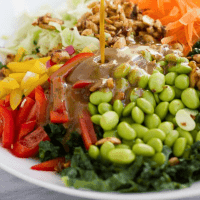 This salad is also gluten-free and vegan, making if perfect for parties! 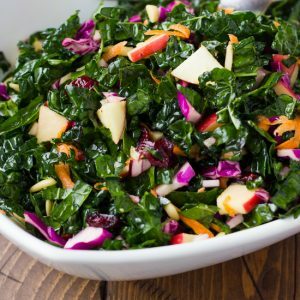 If you don’t already love kale salads, I think learning the tricks to making a truly delicious kale salad will convert you! Remove the ribs. Especially if you’re using curly kale, though I very much prefer Italian or Lacinato kale. Slice the kale very finely. Massage the kale with a bit of lime or lemon juice and a sprinkle of salt. Dress the salad with a bold and flavorful dressing. The dressing in this recipe fits that ticket! You can see more details in this post for my No-Fail Kale Salad. That salad is my go-to side dish for times like pizza night. This salad is a whole meal by itself. 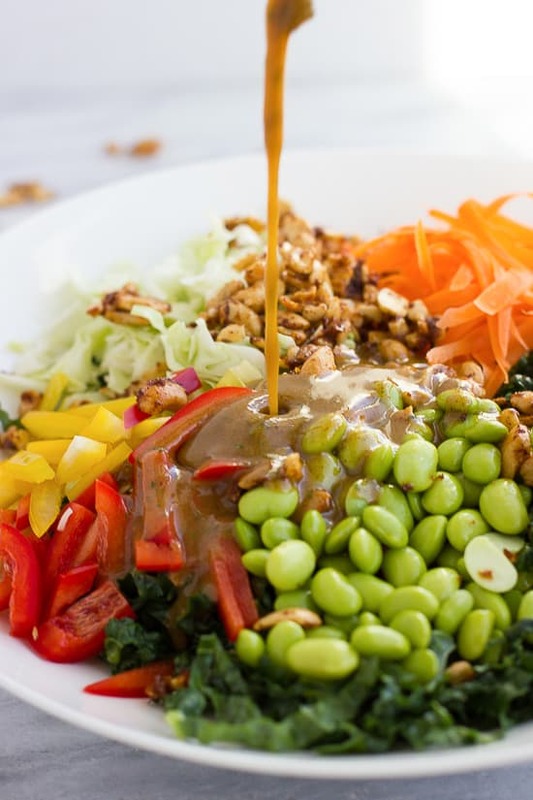 I love using edamame for protein in this salad because it tastes great and then I don’t have to go to the trouble of cooking chicken or another protein. Don’t be intimidated by the long list of ingredients for the dressing. You just measure them all into the food processor and let it do the work. The spiced cashews are my very favorite part of the salad, but if you like you can substitute Trader Joe’s Thai Lime Cashews (yum!). 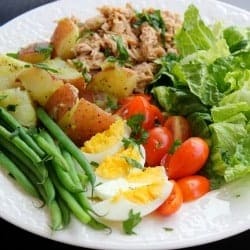 This salad is good sitting for a few hours before serving, which makes it the perfect salad to pack for lunch or a trip. If you are making this salad in advance, leave the spiced cashews out and top the salad with them just before serving. This salad serves 2-4 – but my husband and I can usually eat this whole salad between the 2 of us! For the Cashews: Preheat the oven to 350F. On a small baking sheet, toss the cashews with all the ingredients. Bake for 10 minutes, stirring once while baking. Cool. For the Dressing: Place all the ingredients except the olive oil in a small food processor or blender. Process until smooth. With the food processor running, slowly add the olive oil. Season to taste with more salt/cayenne if needed. To prepare the kale, place the chopped kale in a bowl. Squeeze the lime juice over the kale and add a sprinkle of salt. Massage the kale until it starts to darken and soften. Add the remaining salad ingredients and toss with the dressing. Enjoy!